MIS Is Awesome except for the rain. 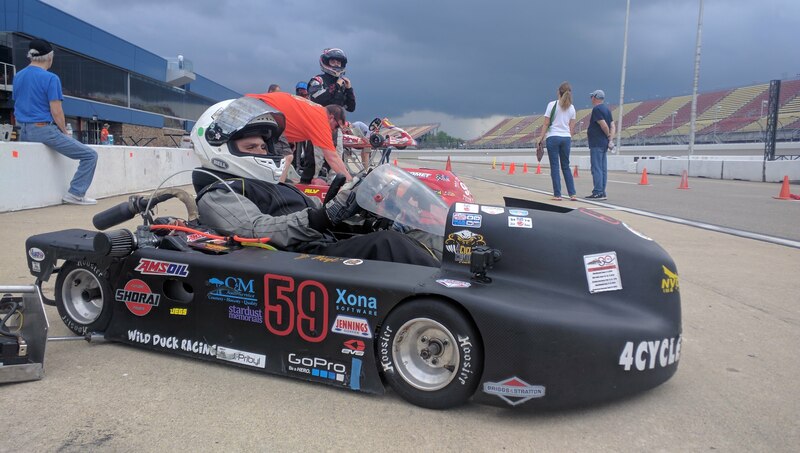 This weekend at Michigan International Speedway, hosted by the Michigan Kart Club, Dart Kart Club and AKRA, was a heaps of fun. Not only did Jason drive on a premier NASCAR track, we used the same garages that NASCAR teams do. Our struggles with the road kart did continue. 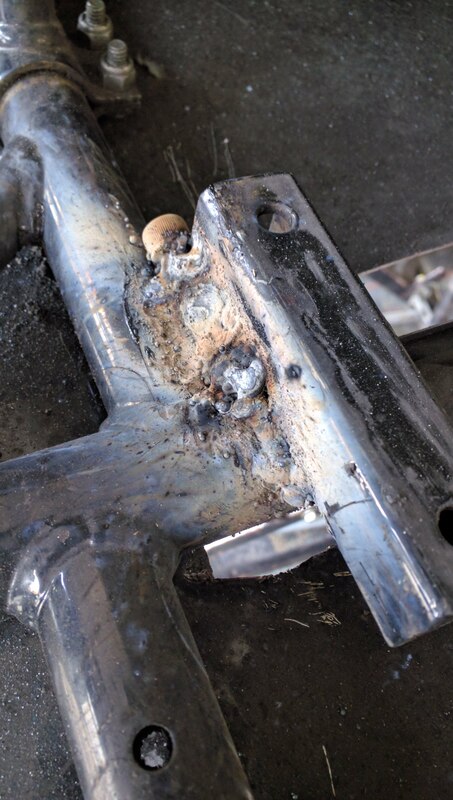 The frame cracked and needed to be welded(Thanks Jack) and the breaks just aren’t right yet. So, work is continuing there, the axle will get rebuilt before the next race. I plan on removing the front breaks and convert to dual rear breaks. That change should also allow better freedom of adjustment in the front and eventually give us a better handling kart. The sprint kart was also fast and had no issues. There was some drama on the track as well but due to weather. All four of the his races were shorted due rain. The rain delayed start on Saturday shortening all races and his last race was red flagged due to a downpour(see video below). Both Sunday races where red flagged due to a wet track. As the rain started he kept his cool and adjusted and signaled to the corner workers that it had become unsafe. In the end he swept all four races this weekend. Repaired motor mount with extra bracing. Kart racing, like any sport, at an high level, or even at a mid-level like us, is hard. I don’t care what sport your in you have dedication and put the work in to be even moderately successful. I would rate us as a B- level team in mid-tier series. Jason and is karts are going to finish at or near the front of mid-pack on any given weekend. We can build and drive a fast race kart but its not going to be the fastest. We are still learning and working to make that happen. 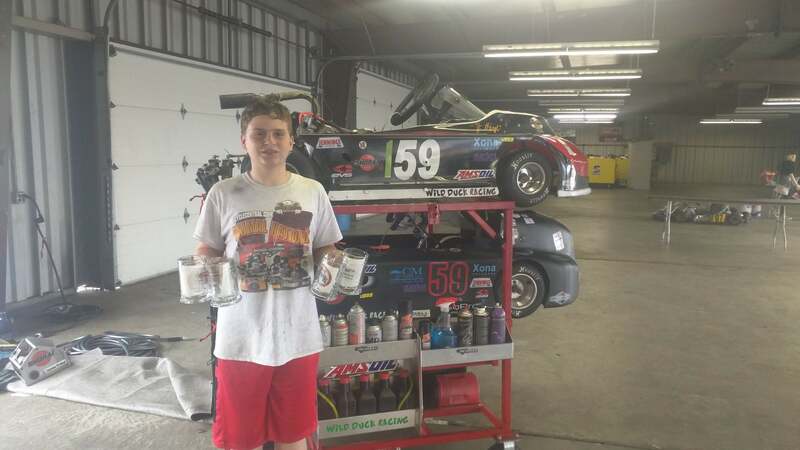 When we started, we did the research in to pick a motor package that would work for us and the time and effort to learn about karts. Jason was, and still is, almost always willing to hit the track for practice and racing. Even now, we just finished a 5 weekend stint of racing and between every weekend Jason and I spend time in the driveway wrenching to keep the karts in racing shape. At out level of racing, we can’t expect to bring ‘last weeks kart’ to the track and do well. There are guys that can do that but they have decades years of experience or are paying someone else to do it. That is not why we race. Here is the thing, we are still having fun. We don’t always win, but that is not why we do this. Our goals are to have fun and if we can make the kart faster then it was last time out. If it happens that we have our act together enough to win a race or two even better. We are still having a blast learning and working together. There is no racing for us this holiday weekend but lots of racing on TV: Indy, NASCAR, and F1. The next race at Blackhawk Farms the first weekend of June for the second meeting of the Championship Enduro Series. Jason will be racing with the Animal 370 class again and is looking forward for another opportunity to learn. We are going to skip the Cup Karts race at Mid-State Kart Club, however, more sprint racing will come soon. Thanks to Jack and Reagan(4 Cycle Central) for your support this weekend. Definitely would not be able to field the karts we do, with out your advice and assistance. Thanks to Michigan Kart Club for putting this race on, it takes a lot of work from many people to pull off an event like this at this track. Thanks to Michigan International Speedway and NASCAR for letting us use this great facility.